Attach this music/tablet shelf to any suitable stand or pole with a diameter of between 14 to 35mm. This covers most microphone and music stands, so should work with your existing equipment. The stand is locked in place via a 'C' clamp which is easy to adjust and secure in any position. 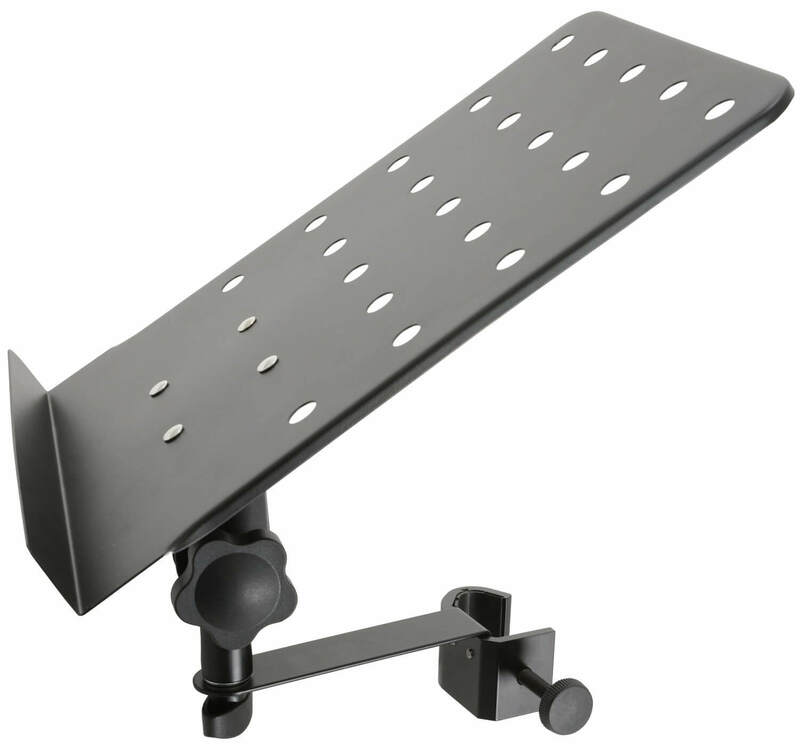 The angle is adjustable and the stand can be moved left and right to get the viewing position exactly right.